That commercial challenge met, Bowie was free to take a more spontaneous tack when he went into Hollywood’s Cherokee Studio with Young Americans veterans Slick, Carlos Alomar (guitar), and Dennis Davis (drums), along with new bassman George Murray and Bruce Springsteen’s pianist Roy Bittan. Actually, “spontaneous” hardly says it. The title song’s 10:08 time (it’s the longest cut Bowie’s ever issued), the depth of its complex textures, and its segmented structure qualify it as the album’s most formidable challenge. “Yeah,” laughs Slick, shaking his head slowly at the memory, “especially when he walks in and says ‘I’ve got this new song that I haven’t written yet’.” Maslin says that, in effect, Station to Station is two songs in one, and that a “total environment” was the sonic goal. Bowie relied quite a bit on the band’s creativity and on Maslin’s technical suggestions, but the basic directives resulted from David’s instincts at the moment. Slick tries to describe the musical conference with Bowie that led to his commanding guitar performance on Stay but gives up with a shrug. “He explained what you hear. He doesn’t say normal words. I’ve been wrong with him for two years and I know what he wants just by… ” He can’t find the phrase to complete the thought. 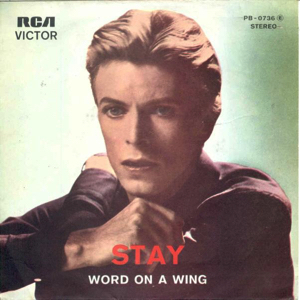 Bowie refers to Word On A Wing as his hymn. Is he being facetious? How intentional are the religious connotations of the lyrics? The singing style on TVC 15 hearkens back to Bowie’s Man Who Sold the World/Ziggy days, sporting as it does that razorlike timbre that initially seems so fragile but in the long run proves invincible. Stay, a song of loneliness and love connections missed, is the album’s most indisputably disco number. 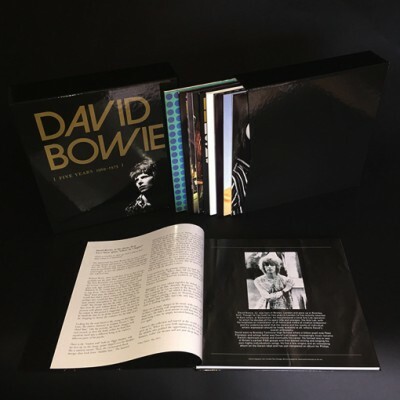 As on Word, Bowie’s vocal on Wild Is The Wind impresses Maslin as “an amazing singing job.” They did seven vocal takes on the latter and ended up using the first – an ornate, meandering reading of the intense love lyric which captures both its exaggerated romance (“You touch me, I hear the sound of mandolins”) and its undercurrent of desperate need (“Like the leaf clings to the tree/O my darling cling to me”). 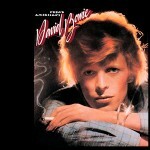 Bowie’s aura and arrangement recall the mood he would evoke when performing Jacques Brel songs in concert. Recording Station to Station’s vocals was tricky from Maslin’s standpoint. For one thing, Bowie wasn’t terrifically mike-conscious, and Maslin had to work the board hard to keep things even. Maslin: “The hardest problem is that he might change the words of a song from one time to the next, and if you engineer vocals the way I do, you have to know what he’s trying to do to capture it the way you want. That doesn’t mean I have to know the meaning of the words. I’m just talking about inflection and things like that. You’ve got to be totally aware. 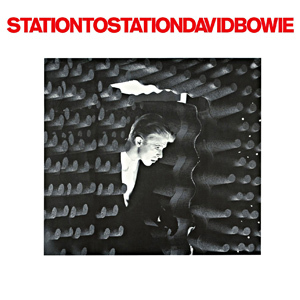 Station to Station was recorded on 24 tracks, a method that presented a stiff challenge to Maslin and his mere ten fingers on the final mix but which allowed great flexibility. They could for example, “waste” a channel on a single sound-effect which could then be tampered with at whim, and they were able to double instruments and voices live rather than mechanically. “Kirlian photo by DB – Apr 1975” shows the side effects of the cocaine evident on his forefinger – “left – before consuming coke; right – after 30 mins”. 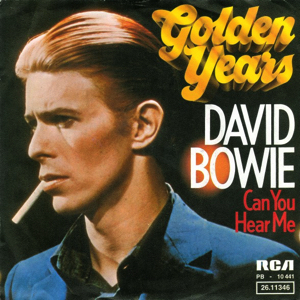 “Golden Years” was originally released in a shortened form as a single in November 1975, and in its full-length version in January the following year on the Station to Station album. It was the first track completed during the Station to Station sessions, a period when Bowie’s cocaine addiction was at its peak. At one stage it was slated to be the album’s title track. “Stay” was released as a single by RCA in the United States The length of the album version of “Stay” is 6:15. The verse and chorus structures can be traced back to “John, I’m Only Dancing (Again)”, a track recorded for the Young Americans album but first released (as a single) in 1979. “TVC 15” The track was inspired by an episode in which Iggy Pop, during a drug-fuelled period at Bowie’s LA home, hallucinated and believed the television set was swallowing his girlfriend. Bowie developed a story of a holographic television, TVC 15. In the song, the narrator’s girlfriend crawls into the television and afterwards, the narrator desires to crawl in himself to find her. 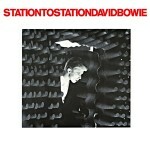 It was chosen as the second single from Station to Station in the UK, where it reached No. 33. 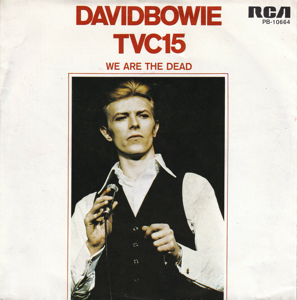 The B-side, “We Are the Dead”, originally part of Bowie’s attempt to adapt Nineteen Eighty-Four, had previously been released on the Diamond Dogs album. In America it peaked at No.64 on Billboard singles chart.